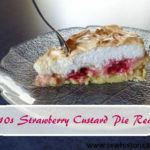 Juneberry pie tastes a bit like plum pie but so much better! 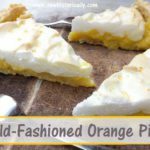 It’s one of the best fruit pies I’ve ever made! Juneberries are also called saskatoon and serviceberry. They are edible and so delicious! Juneberries are sweet, fruity and not too sour: They are delicious raw, in pies, jams, muesli and they freeze well. You can harvest juneberries in June: They look like plum-colored mini apples or blueberries and grow on shrubs and small trees. 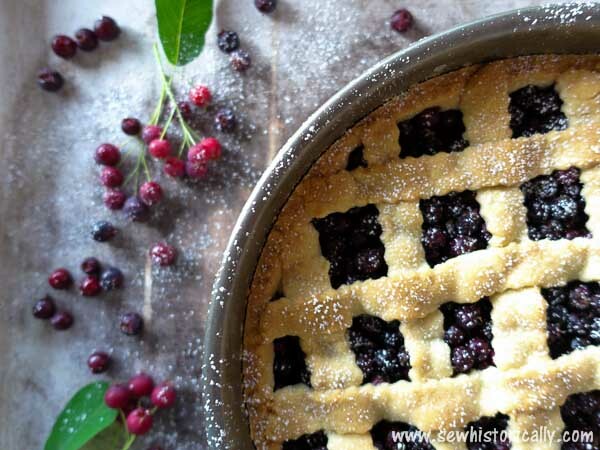 You only need 4 ingredients for this homemade juneberry pie from scratch: Flour, butter and sugar for the shortcrust pastry and juneberries as pie filling. 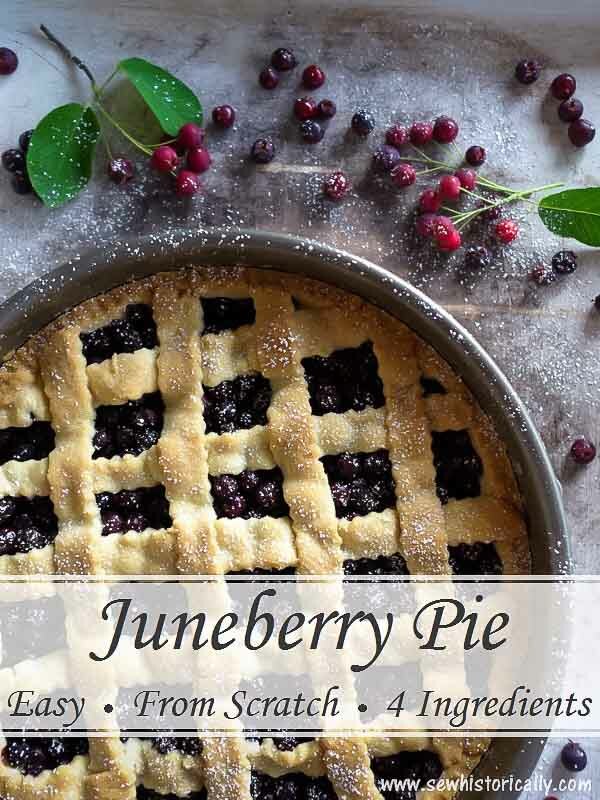 Juneberries make a delicious pie filling and they are so sweet that you don’t need additional sugar! Put the flour and sugar in a large bowl. Cut the butter into small pieces. 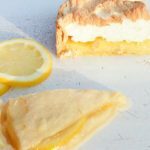 Using a knife, cut the butter into the flour. Then knead the dough briefly with cold hands. Roll out the shortcrust pastry and line a springform pan. 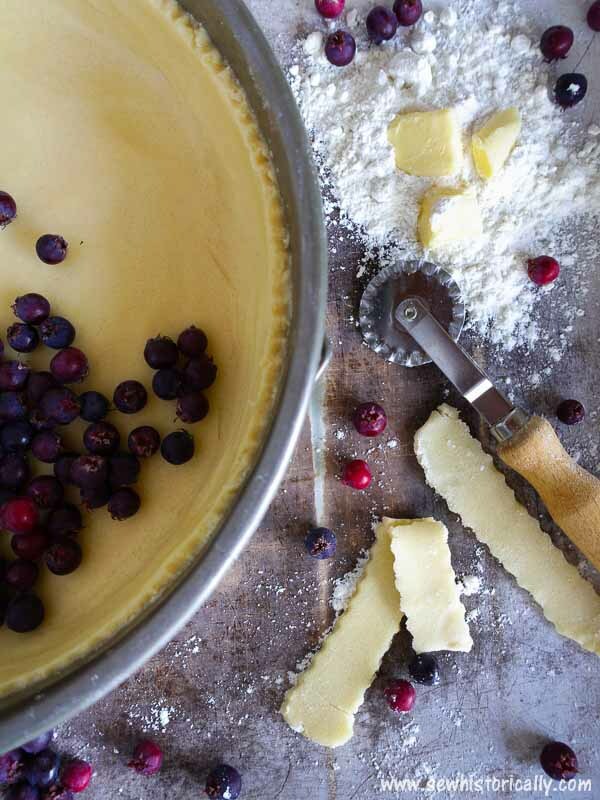 Pour the juneberries into the pie crust – juneberries contain pectin so you don’t need cornstarch as thickener. 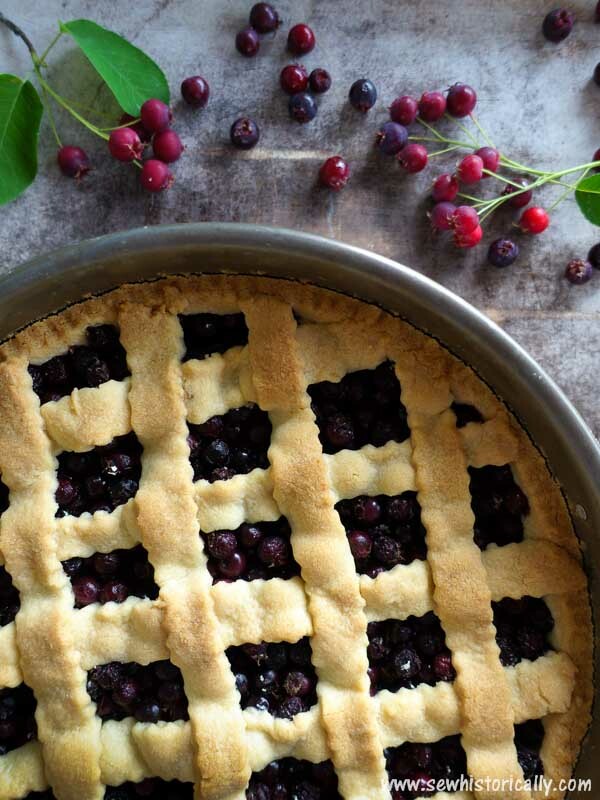 Optional: Use leftover dough to decorate the pie with a crisscross lattice. Bake the juneberry pie for 50 – 55 minutes. The pie is delicious warm and cold. 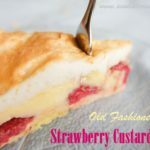 Strawberry Custard Pie – Historical Food Fortnightly Challenge #24 – Redo! I have never heard of a juneberry before. I will have to do a little poking around to see where I can get some of these to try. Juneberry (amelanchier) trees are often planted near parking lots and sidewalks (if they’re native to your area). I’ve never heard of Juneberries so I will have to see if they are available in here in Arizona. 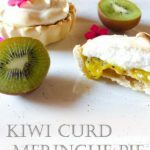 I have never heard of these, but the pie looks delicious! This looks so good Lina!